Encounter at the Arboretum Part II: The Reduviid predator approaches its prey, a Sphecid wasp. These wasps are very large and gather other insects as hosts for their eggs. 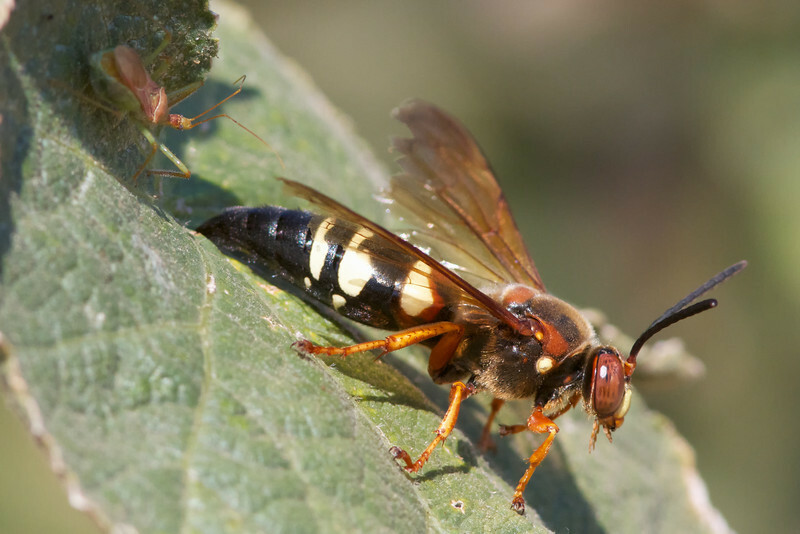 The wasps stuff the bodies of stunned insects inside their nests in the ground and then lay an egg in them. The egg hatches and the resulting larva devours the insect host it matures. The Reduviid might be in some trouble here.